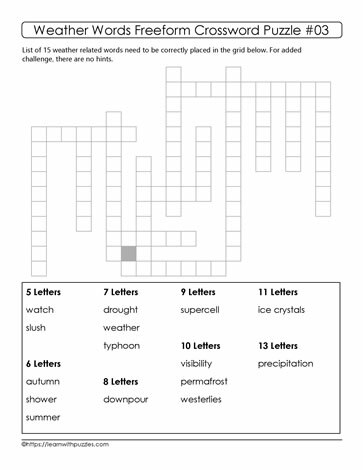 This freeform crossword puzzle will engage learners to practise weather related vocabulary while being curious to research vocabulary and concepts that they are not familiar with. For example: what is a typhoon? Where is the world would you find a typhoon? This puzzle is suitable for educators teaching students about weather around the world, and engaging their brains with a 'fun with learning' activity.